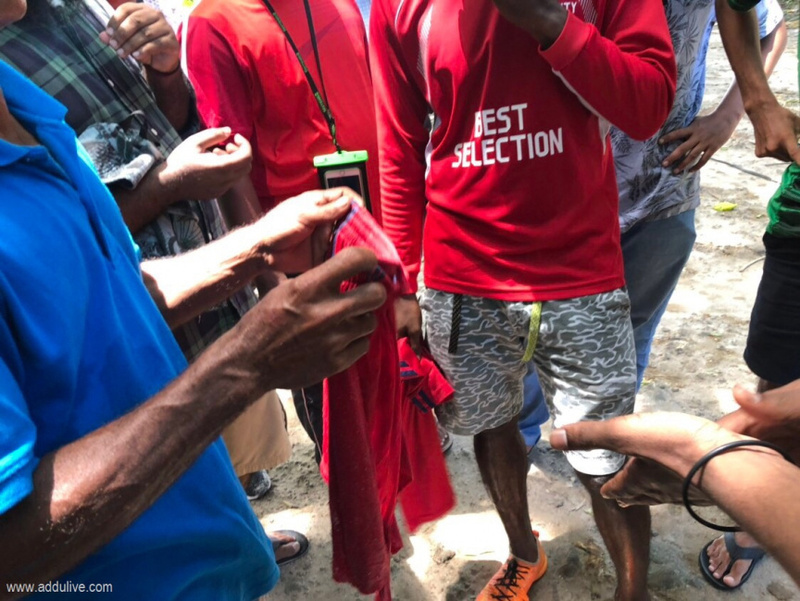 Authorities have found shorts, believed to belong to one of the two boys who went missing after going swimming at Hithadhoo, Addu City on Saturday. Maldives Police Service has confirmed the discovery of the shorts, believed to have been worn by one of the missing Hithadhoo boys, to “Sun”. Police media official said the shorts were found on top of the reef in Hithadhoo, near the China housing units. “Sun” has been informed the shorts is believed to have been worn by 17-year-old Ali Fahmy, Chanbeyleege in Hithadhoo, when he went missing. The other missing boy has been identified as Mayaamin Ali, 14, from Topaz in Hithadhoo. A third boy, Raaif Ali, 17, from Bluege in Hithadhoo, who went swimming with the two boys, survived. Both the MPS and Maldives National Defense Force are conducting a search and rescue operation for the two boys. Authorities also found a t-shirt believed to have been worn by one of the two boys who went missing. However, it was later found out the t-shirt did not belong to any of the two missing boys.